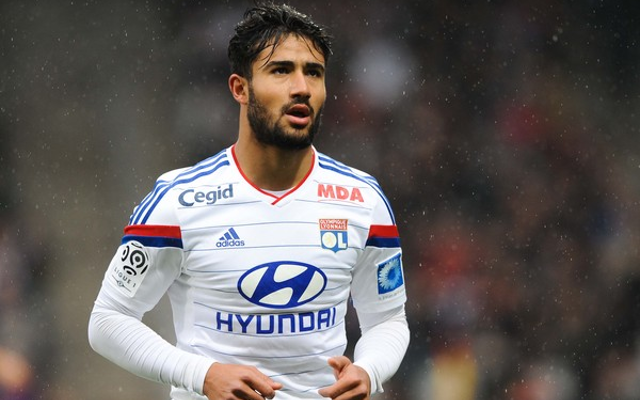 Olympique Lyonnais forward Nabil Fekir has admitted that he wouldn’t close the door on a move to Paris Saint-Germain, despite interest from Arsenal and Manchester City. The France international was awarded with the trophy for the best young player in Ligue 1 on Sunday and took the opportunity to comment on his future. The forward has set the French top flight on fire this season, and while Lyon may have slipped out of the title chase, the 21-year-old can look back on a superb campaign. The attacker has scored 13 goals in 33 appearances in the French championship, contributing nine assists as part of a magnificent forward line. He has also been rewarded with a national-team call-up, and has seen his stock rise. As well as the EPL giants, new French champions PSG are also believed to be keen on Fekir, interest that has not been rebuffed by the player himself. “It’s too soon to talk about staying or going,” said the forward, speaking to Canal Supporters, “all champions are open, it’s not guarantee. “A transfer to PSG?” he continued, “we’ll see, I can’t tell you that for the moment. Fekir made his debut for Les Bleus in a recent friendly against Brazil and made his second appearance in another friendly against Denmark shortly afterwards.